Spring came early for most of us in the Midwest, as President’s Day felt more like the 4th of July. But as we turn the calendar to May, golfers realize that playing as often as they want becomes a distinct possibility. And boy do we have the places for you to go near, far, and wide. We begin with our ace staff writer, Matt Tevsh, featuring one of our favorites in the Gopher State, Dacotah Ridge in Morton, MN. He then headed straight east and a touch north for a great profile of Boyne Golf’s new GEARS teaching and fitting system that will surely take strokes off your score this season. MGM continues our tribute to The King, Arnold Palmer, by highlighting two of his more prominent Midwest designs, The Bog in Saukville, WI and The Ravines in Saugatuck, MI. If you have ever played an Arnold Palmer Signature Design, you know that The King cared deeply about providing incredible public golf at an affordable price. These two properties are remarkable examples of Arnie’s enduring commitment to the game. We are also thrilled to join forces with the Lansing, MI and Lake Geneva, WI Convention and Visitor’s Bureaus as Senior Writer Glen Turk delves into what makes these two areas such powerful golf destinations. Speaking of powerful, did you know the Midwest is home to 30+ different combined professional and collegiate events in 2017? 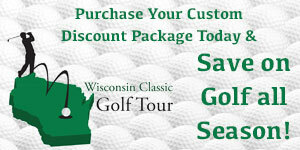 You will know that and much more while reading Deb Patton’s Golf Gallery Guide. And finally, we conclude our Spring Issue with a U.S. Open Preview, the incredible story of Xander Doebref, and our cover feature on how the Symetra Tour reigns supreme in the Midwest. This issue has a bit of everything if I do say so myself. 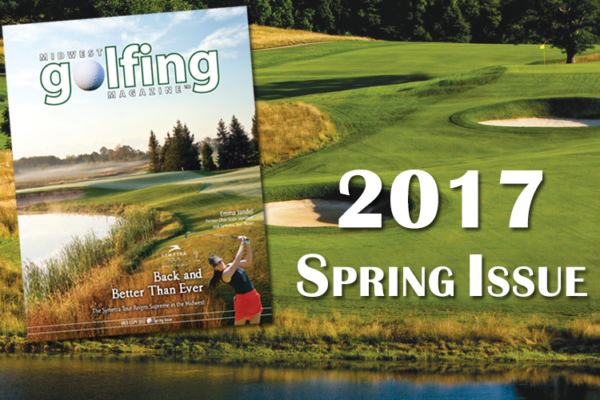 Lastly, I strongly recommend heading to our new and improved website at www.midwestgolfingmagazine.com for exclusive web content, nationwide travel articles, and product reviews which our staff updates weekly.